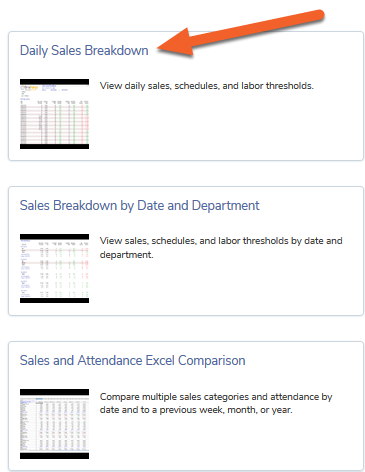 TimeForge sales is the most powerful way to keep track of your sales information and keep your labor costs at a minimum. Printing your sales report is easy in TimeForge. Here’s how it’s done. In order to follow the steps in this guide, you’ll need at least one sales category set up in TimeForge. Managers will then be able to do things like project and forecast sales for the week or day. Open the Sales tab and click Reports. 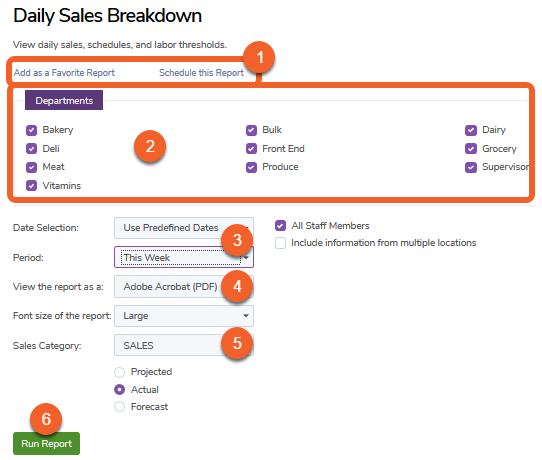 If you’re using locations or departments in Timeforge, there will be the option to print sales reports by department or location. Save the report to your favorites or schedule it to be automatically emailed to you at a specific time. Select the department(s) you would like to run on the report. 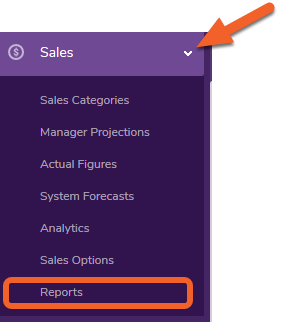 Select which dates or period should be included in the report. Choose whether to view the report as either a PDF or Excel file. Choose which sales category you would like to run. Click Run Report when ready to generate the report. If you chose to view/print as PDF, you’ll be able to print or save the file from your browser. If you chose to view as an Excel file, the spreadsheet will be downloaded, and you’ll be able to open it up and print from there.